HSBC is one of the world’s leading financial services companies, employing around 270,000 people globally. 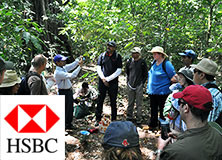 HSBC is Earthwatch’s largest corporate partner and has worked with Earthwatch for more than a decade. Earthwatch’s first formal partnership with HSBC was Investing in Nature, a five-year partnership launched in 2002, featuring the World Wildlife Fund (WWF) and Botanic Gardens Conservation International. As part of this program, HSBC sent 2,000 of its employees on Earthwatch field research projects around the world and helped Earthwatch train 230 scientists from the developing world on Earthwatch projects. HSBC participants undertook environmental projects in their workplaces or local communities, supported by grants from HSBC. 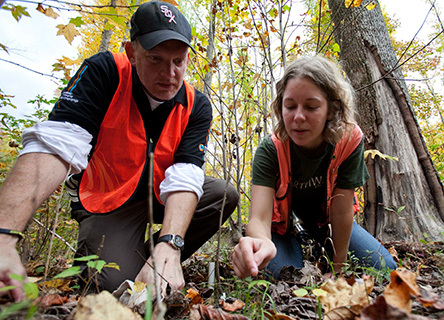 Providing participants with a basic introduction to sustainability and an opportunity to actively participate in an outdoor scientific field research. Building on the success of the Investing in Nature Partnership, in 2007 HSBC launched the HSBC Climate Partnership. Partnering with the Climate Group, Earthwatch, the Smithsonian Tropical Research Institute (STRI), and WWF, the HSBC Climate Partnership was a $100-million, five-year program to reduce the impact of climate change and accelerate the adoption of low-carbon policies. Earthwatch helped influence the way HSBC does business by engaging HSBC employees in understanding more about the risks and opportunities associated with climate change and using that knowledge to reduce their own impacts at home and at work and those of HSBC. This long-standing partnership is now very diverse, with Earthwatch working with HSBC at the functional and regional levels, as well as at the global level. Earthwatch, WaterAid, and WWF are partners in the HSBC Water Programme. The eight-year programme aims to provide and protect water sources, inform and educate communities in need, enabling people to prosper and driving economic development across the world. Launched in 2012 and originally a five-year, US$100 million programme, it was extended in 2017 following its success over the initial term. The extended programme will align with the UN Sustainable Development Goals. Earthwatch is setting up water research projects in 25 cities worldwide, working with local conservation partners to address urban water management issues. Thousands of HSBC employees and their wider local communities will take part in a global citizen science project, collecting robust scientific data using innovative technology. This information will support, inform, and transform policymakers’ water resource management plans. A five-year freshwater research and conservation initiative in the United Arab Emirates (UAE) is a collaborative project among HSBC Bank, Earthwatch, and the Emirates Wildlife Society. The purpose of the program is to engage HSBC staff (and stakeholders) from across the Middle East and North African region in a program of freshwater research and learning in the UAE. Establishing a field center as a hub for research and learning, the program will underwrite research activity critical to water resource and ecosystem management in the UAE. HSBC staff will participate in hands-on research for a four-day period and join facilitated learning sessions on the business risks and opportunities of freshwater within a regional context. The programs take place in the Wadi Wurayah Mountain Protected Area in Fujairah Emirate. The objectives of the program include establishing an environmental research and learning center, supporting long-term environmental research with a freshwater theme, and delivering an educational experience to inspire and enable participants to understand the challenges, solutions, and business opportunities of freshwater in the Middle East and North African region. This program aims to provide participants with a basic introduction to sustainability and an opportunity to actively participate in an outdoor scientific field research project focusing on the impact of climate change on plants in the Dinghushan National Nature Reserve in China. 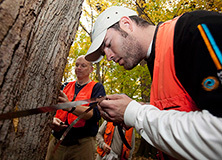 During the program, participants will work with scientists to help them collect data for their research. They will also find out more about sustainability and come up with some simple ideas to reduce environmental footprint. The Sustainability Leadership Programme is a unique professional development experience for senior leaders from HSBC, designed to promote a deep understanding of sustainability as a core strategic and operational business issue and opportunity. 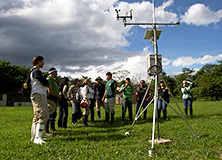 This four-day program, codesigned and delivered by Earthwatch and HSBC, has been running since 2009 at eight Earthwatch research sites in Brazil, China, Costa Rica, India, Malaysian Borneo, Mexico, the U.K., and the U.S.
HSBC employees work alongside Earthwatch scientists undertaking field research and, in doing so, contribute to vital data collection and learn about climate change. Facilitated sessions focus on how sustainability leaders can support the HSBC Sustainability Strategy, generate efficiency savings, and drive sustainability engagement within their part of the business. Sustainability leaders have contributed 8,000 hours to Earthwatch research and completed ambitious projects within HSBC as a direct result of the program. The Sustainability Champions Programme in China and the H2O Program were both spearheaded by sustainability leaders. This program provides leadership development and team-building opportunities for new managers within the HSBC Global Finance division. It enables participants to experience HSBC’s values in action by engaging in locally relevant research projects and sustainability programs. Participation leads to the identification of individual or team projects aligned with community, footprint, or business initiatives, including the HSBC Water Programme, and the ability to address leadership challenges faced by the participants through the lens of sustainability. Long-term partnership means that each partner can gain deep knowledge of the other, resulting in highly tailored programs that meet the needs of the HSBC function or region. A global-level program means support to research undertaken at a global scale – this means that we can really understand and address global-level environmental issues. 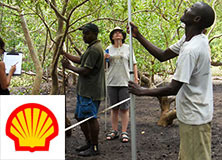 Similarly, research undertaken at such a global scale creates a strong network of Earthwatch research partners. HSBC’s scale and global spread mean that we are training a global workforce of better-informed and engaged citizens able to take action at the individual and organizational levels. The partnerships with HSBC have significantly enabled Earthwatch to develop capacity in new geographic areas, such as Brazil, India, Hong Kong, and China, and in new strategic areas, such as the development of senior-level programs focused on business impacts. HSBC Staff messuring trees to help combat climate change. 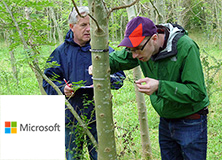 HSBC staff participate in climate change research project.